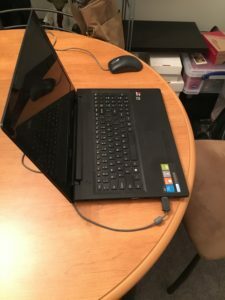 Although still not as mobile as the smartphone, the computer is still a far more powerful tool for connecting to the world, and more versatile in its usage. 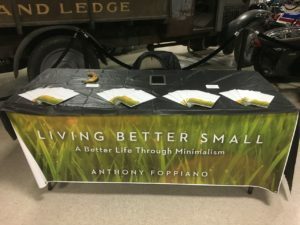 Minimalist or not, if one wants to thrive in today’s world, they must have a computer and internet access. I don’t think I need to list out all the functions a computer serves as I did with the smartphone in a previous post; but needless to say a computer has all the same functions, and many more. With that being said, the compactness and mobility of the laptop computer lends itself perfectly to a minimalist life. Thanks to the laptop computer (as opposed to the desktop computer), we no longer have to reserve space in our home for a computer. Many of us have even reserved an entire room for our computer; we call it “the office.” Of course people usually fill the rest of the room with things they seldom use that give it an “office” look (old books, decor, and whatnot). For anybody whose digital needs are simple (like me), I highly recommend having a laptop computer. For those who have very complex needs (online gaming, music composing, and interests of similar variety), it’s an entirely different story. A laptop computer affords the user the flexibility of having any room in the home be a potential office (or anyplace out of the home for that matter). Previous PostPrevious Our “riches” have no value in the big picture.